Eucalyptus Essential Oil is reputed to purify, cleanse, clarify, and boost immunity. It is popular for its soothing, stimulating, and anti-bacterial properties and can be used in numerous body care products ranging from skin and hair care to emotional care through aromatherapy. This article highlights what can be achieved with natural homemade recipes that use the advantages of Eucalyptus Essential Oil. Used in aromatherapy, the cooling and healing scent of Eucalyptus Essential Oil is known to relieve mental exhaustion by boosting circulation, stimulating the mind out of sluggishness and rejuvenating the spirit. Those suffering from sinus congestion or sinus tension that causes headaches can diffuse Eucalyptus Essential Oil to clear nasal passages and to eliminate harmful airborne bacteria. As a natural disinfecting air spray, Eucalyptus Essential Oil acts as an anti-microbial, non-toxic air freshener that removes from the environment bacteria, viruses, and mold that could contribute to respiratory issues. Diluted with water, a Eucalyptus spray can freshen the room and eliminate the body odors trapped in shoes and sports gear. Those who suffer from allergies will benefit from the anti-inflammatory properties that make it easier to breathe. Add the Eucalyptus Essential Oil and Cornstarch to a mixing bowl. Using a spoon, thoroughly mix them together until the mixture appears to be a crumbly powder. (Optional) Add in a few drops of the food coloring and thoroughly mix it into the powder. The coloring might not be very concentrated until step 3 is complete. Once a thick paste has formed, transfer the mixture to a mini ice cube tray. Smooth and flatten the mixture so that it is level with the top of the ice cube tray, in order to form perfect cubes. Freeze the tray contents for 1 hour or until the mixture is set. When the shower cubes are ready for use, place them on the shower floor and turn the water on. To prevent slippage in the shower, place the cube in a shallow dish or near the shower drain. Shower as usual and enjoy the aromatic vapor from a cube as the water melts it and diffuses its decongestant scent. Store unused shower cubes inside a jar in a cool, dry place. If the cubes are runny due to too much water in the mixture, store them in the freezer. If the cubes do not diffuse a strong enough aroma for personal scent preference, more essential oils can be added to the finished cubes. This can be done by first crushing the cubes in a mixing bowl, then adding a few more drops of essential oils to the powder, and stirring in small amounts of water to recreate a paste. The paste can then be placed in an ice cube tray and frozen until ready for use. Add all essential oils together in a 5 ml amber glass vial/bottle that has an orifice reducer. Boil 3 cups of distilled or purified water. Remove the water from the heat and allow it to cool in a bowl for 5 minutes. Add 1 drop of the essential oil blend to the steaming water. Place the bowl somewhere stable and comfortable where you can sit for 10 minutes. Drape a large bath towel over your head, shoulders, and the bowl. Lean over the bowl with your face 10-12 inches away from the water. Ensure that your eyes are closed during the entire steam, as the oils may irritate open eyes. Inhale through your nose and exhale through your mouth. Enjoy the relief from congestion, mucus, inflammation, itching, and other cold and allergy symptoms. Tightly close the spray bottle with the cap and swirl the mixture together to blend everything thoroughly. Spritz the room spray into the air to enhance spiritual practices. Combine all ingredients inside a 60 ml (2 fl. oz.) amber glass bottle. Replace the bottle cap and shake well to thoroughly blend all oils. To use, dispense up to 1 Tbsp of the blend into the palm of your hand and massage into affected areas. Combine all the ingredients inside a 90 ml (3 fl. oz.) amber glass bottle. Replace the bottle cap and shake well to thoroughly blend all the oils. Combine all ingredients inside a 90 ml (3 fl. oz.) amber glass bottle. Eucalyptus Essential Oil’s germicidal and antiseptic properties make it a popular choice for use on wounds, cuts, burns, bites, stings, and sores. Besides soothing the irritated skin, it relieves pain, protects any openings from becoming infected, and promotes faster healing. Added to warm baths, Eucalyptus Essential Oil’s analgesic and anti-inflammatory properties help to rejuvenate stiff and sore muscles. Combine all the oils in a dark glass or PET plastic bottle. Shake the closed bottle to thoroughly blend all oils. Pour 1 Tbsp of the blend into warm bath water. This blend can also be used as a decongestant and immune-boosting massage blend for the chest, back, and feet. Store the unused blend in a cool, dark place outside of the humid bathroom. Pour Epsom Salt into a clean mixing bowl. Add Dead Sea Salt to the Epsom Salt. Mix well. Add Baking Soda to the salts. Mix well. Add all the essential oils. Mix well. Spoon the final product into clean jars (such as canning or jam jars). When adding the salts to a warm bath, ensure complete dissolution in water to avoid slipping. Depending on the size of the bathtub, use between ¼ to ½ cup of this salt blend per bath. Relax and enjoy the relief from congestion, sore muscles, and inflammation. When used cosmetically to nourish hair, Eucalyptus Essential Oil’s powerful antibacterial and antiviral properties relieve scalp itchiness by facilitating the removal and prevention of dandruff flakes. With its strong scent and anti-microbial properties, Eucalyptus is capable of eliminating lice and nits. Due to its astringent properties, Eucalyptus Oil controls sebum production, thereby preventing hair follicles from becoming clogged with excess sebum and dirt that can lead to hair loss. As a hair stimulant, it boosts circulation in the scalp and encourages hair growth, strengthening the hair by improving elasticity and preventing breakage. Eucalyptus Essential Oil helps dry up blemishes and acne outbreaks, alleviating inflammation and pain. The oil’s anti-bacterial properties help reduce the chance of future outbreaks. In a small pan, mix together the Coconut Oil, the Castor Oil, and the Jojoba Oil. Heat the mixture until it is warm enough that it can still be touched with bare hands. Ensure that the oils are never overheated nor brought to a boil. Remove the pan from the heat and, using a spoon, mix in the Eucalyptus Essential Oil. Using the fingertips, massage the oil blend into the scalp. Leave the oil in the hair for 15 mins before washing it off. This hair treatment can be applied once a week or once every 3 days. Combine all ingredients in a jar or bottle. Tighten the jar lid or bottle cap and shake to thoroughly blend all ingredients. Store the finished product in a cool place. After shampooing hair, follow the steps below to create a conditioning vinegar hair rinse. Add the Eucalyptus Essential Oil. Massage hair and scalp with the blend, especially the ends of the hair. Let it sit for a couple of minutes. Rinse your hair with water. For those with long hair, it is recommended to leave the vinegar rinse on, as it prevents hair from becoming tangled. A slight odor of vinegar might linger while hair is wet, but will disappear when hair is dry. In an applicator bottle, combine all the oils and shake well to blend together thoroughly. To apply, section the hair and squeeze the product from the applicator bottle. Using the fingertips, gently massage the oil blend into the scalp. Leave the oil in for 2 hours. Wash hair as usual. It is suggested that the oil is washed out of the hair with a mild, non-sulfate shampoo. In a small bowl, combine ingredients and transfer into a small pump bottle. Use as you would any face wash.
240 ml (8 oz.) of Liquid Castile Soap will last approximately 1-2 months. Diluting 180 ml (6 oz.) of soap with 60 ml (2 oz.) of water makes the soap last even longer. Mix in the Eucalyptus Essential Oil and the food coloring. Scoop the finished mixture into a jar/container. To use, apply this mixture to the face, hands and/or body. Gently scrub for 2-3 minutes before rinsing off. In a 60 ml (2 oz.) dropper bottle, combine all the oils. Tightly cap the bottle and shake it vigorously to ensure the oils mix together thoroughly. To use, take a small amount of the oil in the palm of your hand, rub the hands together, and gently smooth onto facial hair to soften and condition your beard. In a bowl, mix all ingredients together until thick paste forms. Transfer this blend to a storage container such as a shallow, wide-mouthed jar, and allow it to set for 24 hours. To use, apply the deodorant to underarms with fingertips. Cornstarch: As an odorless thickening and binding agent, this ingredient helps hold a shower cube together and allows the shower cubes to harden and become sturdy. Cornstarch acts as a softening agent if the shower cubes are used in a bath instead. It can also absorb moisture to prevent body odors from forming. Its anti-inflammatory properties make it soothing and relieving for rashes, burns, and itchiness. Ravensara Essential Oil: This anti-allergenic oil alleviates allergic reactions, allowing the body to build resistance against allergy-inducing substances. By eliminating bacteria, Ravensara Oil treats infections while preventing new infections from forming. It relieves severe and spasmodic coughs and allows muscles to relax, thereby alleviating breathlessness, cramps, and a sensation of pulling pain in the abdomen. Sweet Marjoram: This anti-viral oil effectively eliminates harmful bacteria and viruses associated with colds, flu, and other viral illnesses, thus treating infections. The expectorant properties of Marjoram Oil make it effective in clearing congestion caused by colds and infections. Peppermint Essential Oil: This oil is popular for its powerful cooling scent, which improves focus and mental clarity, boosts energy, clears the respiratory tract, and releases muscle tightness. It is used to soothe and reduce pain, redness, inflammation, aches, and digestive discomfort. Its anti-microbial property protects the body against bacteria. When used topically, it closes pores and tightens skin. Its simultaneous cooling and warming sensation on skin makes it an effective numbing agent. Grapeseed Carrier Oil: This light, non-greasy, moisturizing, and fast-absorbing oil promotes the speedy healing of wounds and minimizes the look of scarring. It is odorless and is not known to stain fabrics. Grapeseed Oil boosts circulation and when used in hair products, conditions hair to help retain moisture and restore shine while preventing hair breakage and hair loss. Rosemary Essential Oil: This pain-relieving oil stimulates blood circulation, which makes it a popular remedy for arthritis, muscle and joint pains, and headaches. It promotes faster healing for wounds by facilitating the process of coagulation. Lemon Essential Oil: This stimulating oil is known to detoxify, disinfect, and induce sleep. Its ability to relieve stress contributes to its ability to boost immunity, which prevents fevers and infections. It is an anti-fungal oil that is known to rejuvenate skin by soothing irritations, increasing skin luster, and reducing excessive oil. Cedarwood Essential Oil: This oil is known to enhance concentration and to promote the retention of information. It tightens and tones the skin, promotes hair growth, and prevents wounds from developing infections. Its anti-inflammatory property soothes skin irritations and relieves muscle and joint pain. Sage Essential Oil: The anti-oxidant properties of this essential oil help slow the appearance of aging and its symptoms such as wrinkles, sagging skin, and loose muscles. Sage Oil promotes the quick healing of wounds and cuts. It reduces skin inflammation as well as the appearance of marks, spots, and scars on the skin. Cypress Essential Oil: This oil promotes perspiration, which facilitates the expulsion of bodily toxins as well as excess salts and water. This, in turn, benefits all body systems, especially the skin, as it prevents acne and reduces the build-up of toxicity. By stimulating circulation and eliminating excess fluids, Cypress Oil diminishes the bumpy appearance of cellulite as well as other unsightly skin conditions, which are caused by fluid retention and/or poor circulation. Hazelnut Oil: This non-greasy, hydrating oil helps skin absorb oil and balance oil production while introducing skin-softening moisture that minimizes the appearance of wrinkles. By offering skin protection through its antioxidant and rejuvenating properties, Hazelnut Oil shields skin against environmental stressors that lead to the appearance of aging, leaving the complexion looking younger and brighter. Sweet Orange Essential Oil: This oil positively influences the body by providing a sense of upliftment, peacefulness, and cheerfulness. Its ability to alleviate anxiety, anger, and depression makes it beneficial for relaxing muscles, which promotes restfulness, drowsiness, and thus increased sleep duration. Orange Essential Oil is known to prevent fungal infections and to inhibit the growth of further bacterial growth, which is useful for disinfecting wounds. 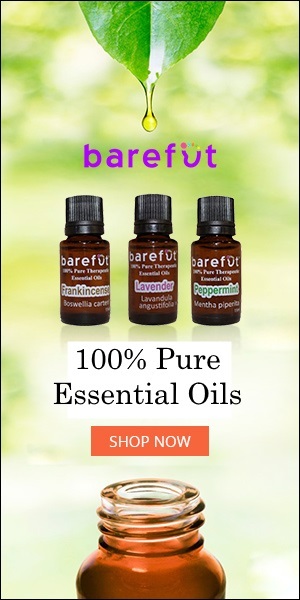 Carrier Oil: Carrier oils help to dilute essential oils before topical application, as the potency of essential oils can be harmful when used in high concentrations without dilution. Carrier oils also help essential oils remain on the skin longer without quickly evaporating. Pine Essential Oil: This oil is known to boost immunity by clearing mucus and phlegm from nasal passages and protecting the body and the environment from harmful bacteria, fungi, and viruses. When used topically, it reduces redness and inflammation while soothing skin that is prone to eczema and psoriasis. Its antioxidant properties balance skin, rejuvenating the complexion to leave it looking and feeling healthy. Lavender Essential Oil: This calming oil is a popular choice for those looking to relieve both emotional and physical stress ranging from sadness to headaches. Its soothing scent diminishes feelings of restlessness and exhaustion. It improves sleep by reducing feelings of anxiety and emotional distress as well as reducing pulse rates. It promotes a sense of inner peace by diminishing irritability. Epsom Salt: These salts are known to facilitate the expulsion of toxins from the body, relieve stress, promote relaxation, soothe inflammation, and enhance the body’s nutrient absorption. Baking Soda: This finely powdered salt is known to help detoxify the body and to soften skin to make it smooth. Baking Soda eliminates the bacteria that contribute to body odor and reduces the pH level to offset the acids present in perspiration. Virgin Coconut Carrier Oil: This deeply conditioning oil is known to increase skin hydration by reducing water loss in the dry skin. Its antibacterial and antifungal properties can also facilitate the healing of wounds. Coconut Carrier Oil: This moisturizing and conditioning oil helps regrow and repair dry, damaged hair, thus promoting the health of the scalp. While relieving the discomforts associated with lice and dandruff, Coconut Oil strengthens and softens hair to make it silky and lustrous. By preventing breakage and split ends, it slows the loss of hair and protects it from environmental stressors as well as heat damage. Fractionated Coconut Oil: This softening oil is known to relieve skin dryness by reducing skin’s water loss. Coconut Oil can reduce inflammation, relieve irritation, and remove psoriasis skin plaques by softening the skin. Coconut Milk: This cooling liquid is different from Coconut Water, in that it is extracted from grated coconut. With its natural moisture, it nourishes hair to encourage the growth of longer and thicker strands. Liquid Castile Soap: This natural, non-toxic soap contains vegetable-based ingredients, making it a milder and more environmentally-friendly option. Its rich oil content means that it easily produces a high-foaming lather that requires less water than traditional liquid soaps. Olive Carrier Oil: This strengthening oil introduces weight and moisture to hair, sealing it in. It repairs split ends and smoothes the look of frizz. By conditioning, treating dandruff, and removing the buildup that prevents the growth of new hair, it improves the health and appearance of hair. Almond Carrier Oil: This nourishing oil provides intense hydration that is suitable for all skin types. Almond Oil is a skin-softening lubricant that is almost odorless, and it is packed with vitamins, minerals, proteins and essential fatty acids that make skin look and feel revitalized. Apple Cider Vinegar: This strengthening tonic has traditionally been used for hair conditioning benefits. With a pH level that is close to that of human hair, it helps balance the natural pH of sebum. This protects the scalp against bacteria and fungus, which are main causes of dandruff. By clearing the scalp of product build-up, it refreshes hair, reduces frizz, detangles hair, and stimulates hair growth. Its stimulating properties encourage hair to grow healthier and stronger, reducing the chance of breakage. Oregano Essential Oil: This immune-boosting oil is known to improve respiration and relieve pain associated with arthritis and injury. As well as stimulating the body, its scent invigorates the mind. Oregano Oil can enhance skin health and soothe skin discomforts such as itchiness while slowing the look of aging and brightening the complexion. Extra Fine Granulated Sugar: This hydrating exfoliant gently brushes away dead skin cells to allow healthy, glowing skin to emerge. It facilitates cell regeneration, leaving skin looking and feeling younger and fresher. Tea Tree Essential Oil: This is a powerful, anti-septic immune system stimulant that is beneficial for eliminating bacteria, viruses, and fungi. It can treat wounds, provide soothing relief for aches, pains, and congestion, promote a sense of calm, and disinfect surfaces. This stimulating and nourishing oil promotes the growth of healthy hair and prevents dryness. It soothes itchiness and inflammation while preventing the accumulation of dead skin cells. Castor Oil: This nourishing oil stimulates circulation to promote the growth of stronger, thicker hair. By moisturizing, smoothing, and softening hair, it prevents hair from becoming dry and brittle. Moroccan Argan Carrier Oil: This conditioning oil is known to make hair softer and smoother. By penetrating and moisturizing hair, it repairs damage while leaving it looking shiny without the greasy residue. Moroccan Argan Oil boosts the growth of hair that looks thick and healthy. Jojoba Carrier Oil: This carrier oil is actually a liquid wax that resembles sebum, which is produced by human skin glands and which acts as a conditioning agent for skin. It is best known for its ability to balance skin’s oil production by removing excess oil and for preventing skin irritations. It locks in skin’s moisture and protects it from harsh environmental elements. Sandalwood Essential Oil: This oil is known to soothe skin irritations such as inflammation, wounds, or acne and can reduce the appearance of aging skin. Sandalwood Oil is used to improve mental clarity, memory, calmness, and libido. It is believed to fight bacteria that contribute to respiratory ailments. Vitamin E Liquid: This powerful antioxidant reduces inflammation, repairs hair damage, and promotes better circulation to boost healthier growth.